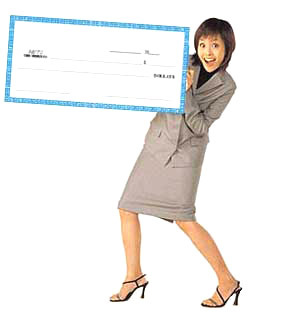 Need large checks for a presentation? We do lots of presentation checks and can do yours too! 18" x 36" or 22" x 44" in size. Usually large checks are paper mounted on foamcore board to avoid reflection trouble with flash pictures. We can also laminate presentation checks with a gloss finish plastic, which allows you to write on them with a dry or wet erase marker and use them over again. 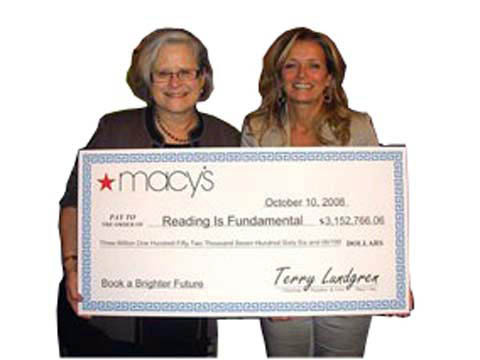 When taking pictures of a gloss laminated big check, you will want to tilt the big check slightly away from the camera to avoid flash reflections. The big checks were great! They were easy to order, customer service was responsive and attentive and they were delivered in record time! We were really happy with MegaPrint! You can enter your order online, filling out the check with the information you want. If you want to create a custom design, enter a large format online order for the size and material you want. If you want us to design the check for you, give us a call. We charge $100/hour for setup time. A good font to use for signatures and hand writing is Brush Script, it's installed on most computers. 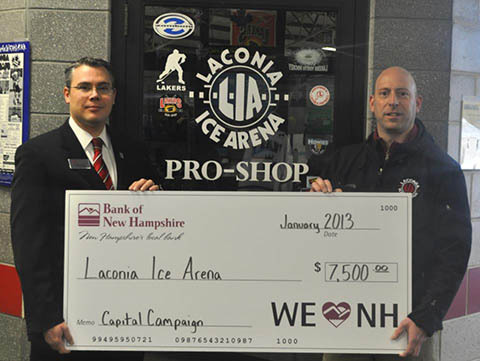 Design your check online on our big check ordering page. 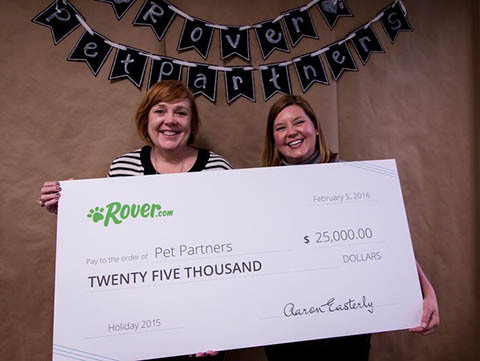 Or, send a check you've designed using our Large Format order page. Order a matte paper or gloss laminated print with foamcore mounting. Edge trim is a good idea to protect the edges of big checks that will be used repeatedly.